Dry skin is a common problem that you often experience in the winter. The skin will become drier because of the drop in the humidity and temperature. This will cause your skin to get dehydrated, which results in the dry skin patches, irritation, and itchiness. This skin problem can result from the weather, inadequate moisture in your body, taking hot showers or baths, exposure to ultraviolet sun rays, using harsh detergents and soaps, and some medical conditions such as hyperthyroidism, diabetes, dermatitis, or psoriasis. When getting a dry skin, you need to use an effective lubricant to keep it rehydrated. Here are some effective remedies made from natural ingredients that help to get rid of dry skin effectively. Oatmeal is very good for dry skin. It is considered a natural exfoliating & cleansing agent that is effective in fighting the dryness by eliminating the dead cells on your skin. 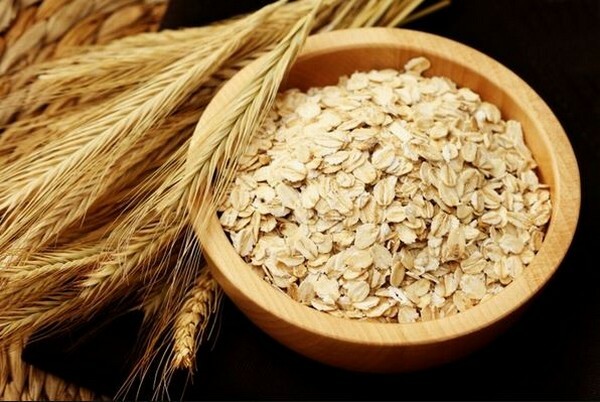 In addition, the protein present in oatmeal also helps to prevent water loss and keep your skin moist, which will aid in giving you a naturally glowing skin. Also, it helps to soothe irritated & itching skin. You can add a cup of oatmeal and some drops of lavender essential oil to the bath water and stir them thoroughly. Next, soak in this water for about 15 to 30 minutes and then take a bath with clean water. After that, gently pat your skin dry and apply a lightweight moisturizer. Repeat this way once per week. Another option, mix one tablespoon of ground oatmeal, one tablespoon of milk, and two tablespoons of honey thoroughly. 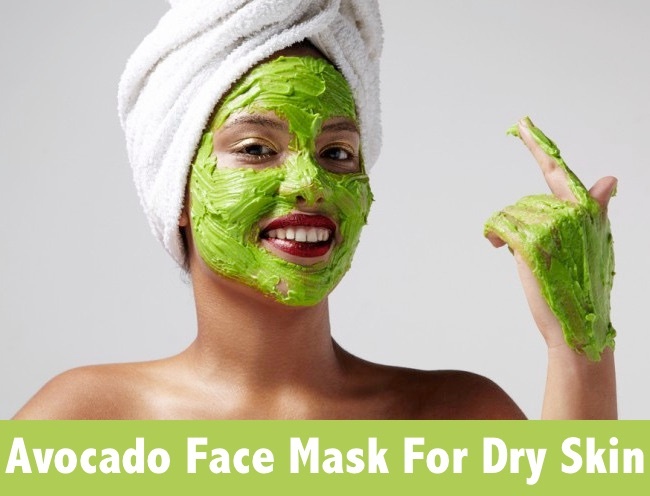 Then, apply this mask to your dry skin area. Now, leave it on for at least 15 minutes. Finally, rinse off this mask with warm water. Do this mask once or twice per week. 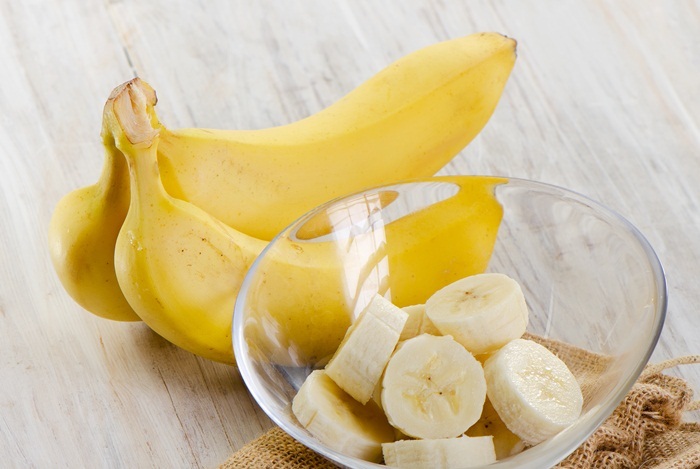 Bananas are another useful way that helps to fight dry skin in the winter. The rich water content in this delicious fruit keeps the skin hydrated. In addition, they have antioxidants and vitamins that offer anti-aging benefits in order to help you to maintain a young skin. Also, this creamy fruit aids in giving you a glowing and smooth skin. Firstly, slice half a banana and then mash it with a fork. Next, add 1 tablespoon of plain yogurt to this. Now, mix them with one teaspoon of honey. After that, spread this mask on the affected skin area generously and let it stand on for 15 minutes. Finally, rinse off the skin with warm water. Repeat this mask 2 or 3 times per week. 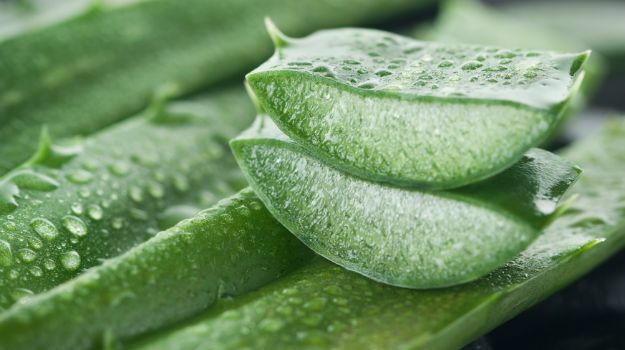 Aloe vera is an excellent ingredient that helps to make your skin look soft and vibrant even in the winter. 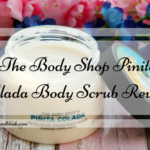 It is considered a great moisturizer and improves the tone of your skin. It also helps you to get relief from itchiness and prevent cracking and flaking related to dry skin. According to a study published in the Skin Research & Technology in 2006, freeze-dried extract of aloe vera is very effective at improving a dehydrated skin thanks to its humectant effects. Firstly, take the aloe vera gel by extracting an aloe vera leaf. Then, apply this gel to your body and massage it for some minutes. Now, rinse off the body with warm water after 30 minutes. Do this way once or twice per day. Milk cream is also a good ingredient that helps to combat the dryness. 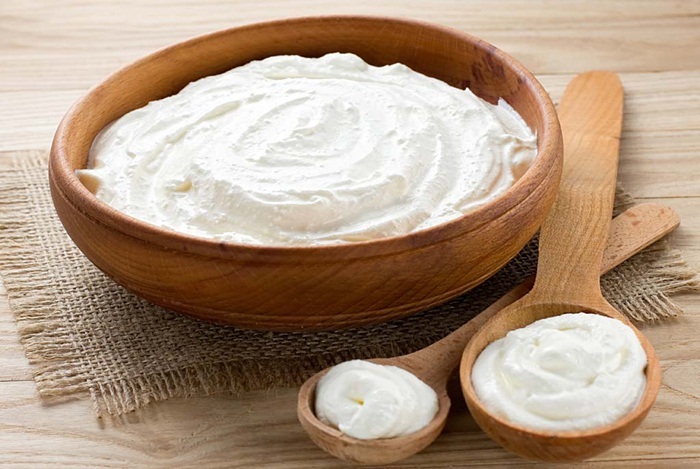 The high fat content present in milk cream acts as a great moisturizer for your dry skin. In addition, the lactic acid found in milk is useful in exfoliating the dry, dead cells on the skin and speeds up the production of collagen. Also, it helps to maintain the proper pH levels of your skin. To use milk cream daily, rub a little milk cream on the dry skin area and allow it to stand for 10 minutes. After that, rinse off the milk cream thoroughly with warm water. Or, you may also mix 1 teaspoon of milk cream and 1 teaspoon of milk thoroughly. Then, stir in several drops of lemon juice. Now, apply the mask to your face, legs and hands. Finally, wash off the mask with water after 15 minutes. To use it weekly, mix 2 tablespoons each of milk cream and gram flour together. Then, apply this mixture to the dry skin area. Now, leave it on for about 20 minutes before washing off the area with warm water. Honey is a natural moisturizer that contains the antioxidant, humectant, and antimicrobial properties. 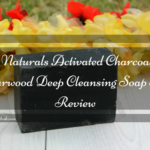 It helps to lock the moisture in the skin to make it softer and smoother. Moreover, honey also contains many essential minerals and vitamins that aid in giving you a healthy skin and healing skin tissue. 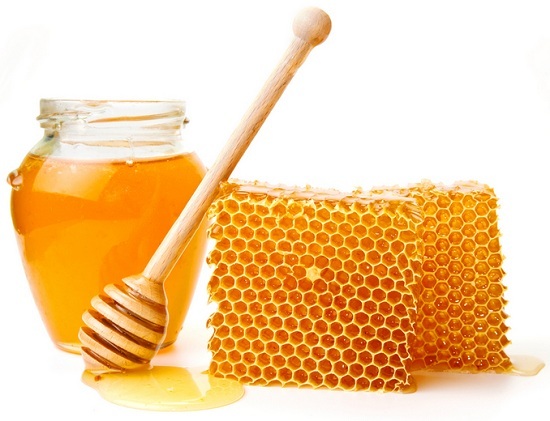 Before taking a shower or bath, rub a little raw honey on your body and gently massage in a circular motion. Now, wait for 10 minutes and then take a shower or bath. Do this method once daily. Another option, mix honey and glycerin at the ratio of 1:1. Then, apply it to your hands and wait 10 minutes. Finally, rinse off your hands with warm water. Coconut oil contains great amounts of fatty acids which may compensate for the loss of moisture from your skin. The protein and vitamin E present in it help to retain the moisture in the skin. In addition, its antioxidant effect is good for the overall health of your skin. Coconut oil is completely non-greasy; so, your skin easily absorbs it. Warm up 1 tablespoon of coconut oil in a pan or microwave for a few seconds and then apply it to the skin before taking a bath. Now, gently massage it so that the oil can penetrate into your skin. After that, wait for 10 minutes before taking a bath or shower. Do this once every day. If you suffer from extremely dry skin, try applying coconut oil on your damp skin after bathing. 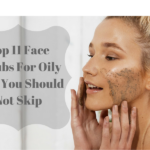 Olive oil is comprised of vitamin E that aids in neutralizing the oxidant consequence of free radicals damaging collagen and causing the dryness. It also acts as a natural moisturizer. In addition, the healthy fatty acids present in it may soothe and moisturize the dry skin. 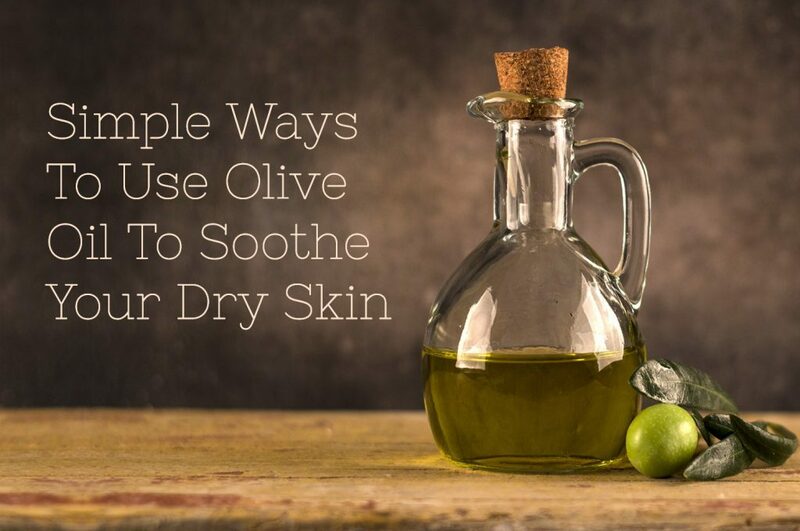 You may rub warm olive oil on the skin and massage gently in a circular motion. Wait 30 minutes before taking a shower to wash it off. Finally, apply a lightweight moisturizer. Do this daily to get rid of dry skin. Or, you may add olive oil to 2 teaspoons of brown sugar to create a paste. Then, dampen your skin and gently scrub your skin with this mixture. Now, leave it for about 15 minutes before washing it off with warm water. Repeat this method weekly. Avocados are also rich in vitamin E that aids in protecting the skin from the damage caused due to free radicals & oxidative stress. In addition, the omega-3 fatty acids present in this fruit easily penetrate deep into your skin to compensate for the loss of moisture. Firstly, scoop the pulp of half an avocado. Then mash it finely with a fork to make a smooth paste. Next, mix it with 2 teaspoons of honey. Now, spread this mask on your skin and keep it for about 20 minutes. Finally, using a damp washcloth to wipe it off and wash your skin. Repeat this method several times per week to get smooth & hydrated skin. 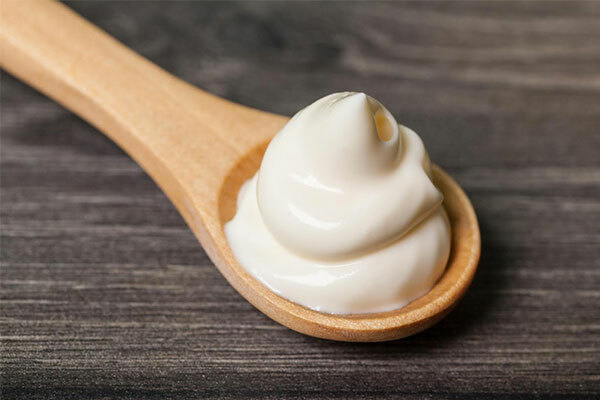 Yogurt can help to fight dryness, keep your skin hydrated, and soothing the itchiness. In addition, the lactic acid present in it is very effective in removing the dead skin cells, hydrating the dry patches, and restoring a glow and shine to your skin. You can apply yogurt to your skin and gently massage it. Then, leave it on for about 10 minutes. Finally, take a shower or bath. Do this way for 3 or 4 times per week. Another option, mix 3 or 4 tablespoons of unsweetened yogurt, half a tablespoon of turmeric, and gram flour thoroughly. Then, apply this mixture to your skin and wait for 10 minutes. After that, scrub off the mixture with your wet fingers. Finally, rinse off the mixture with warm water and use a lightweight moisturizer. Repeat this method 2 or 3 times per week. 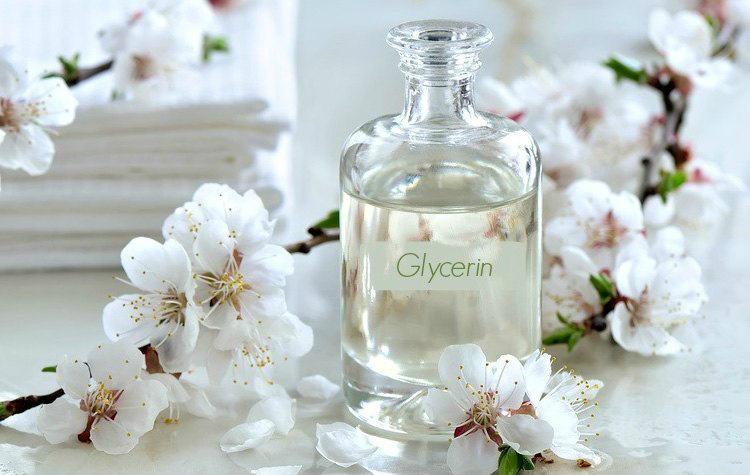 Glycerin contains moisturizing and humectant properties that can help to fight the dryness well. In addition, it is also useful in absorbing and retaining the moisture in the skin. Firstly, mix equal parts of rose water, lemon juice, and glycerin thoroughly. 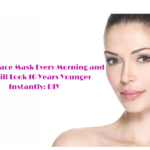 Then, apply this mixture to your skin before going to bed. Take a warm shower in the next morning. Repeat this method once daily. 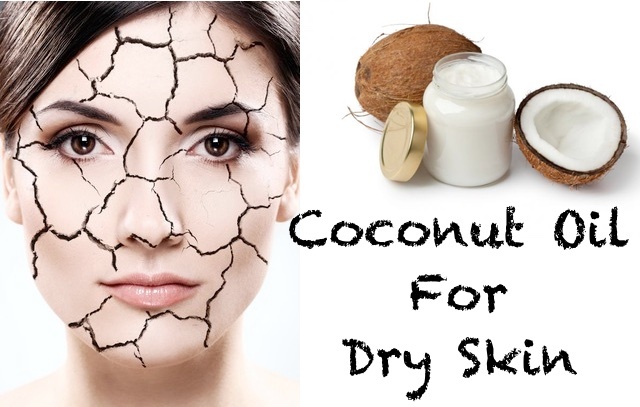 Here are a few of effective ways on how to get rid of dry skin naturally that you should know! 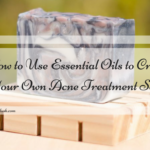 This guest post is by Hang Pham, a blogger with over 10 years of experience on searching the effective remedies for skin care and health problems. I usually use Aloe Vera Gel with rose water. It is also helpful for dry skin. Amanda I have been using aloe vera gel these days with my face serum and it really helps. I have never tried avocado oil Soumya…Need to try it as a lot of people have told me that is really good..